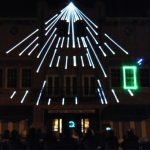 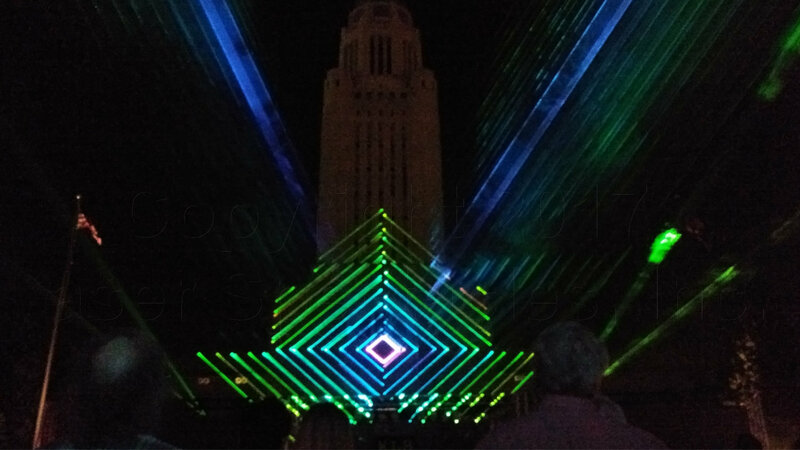 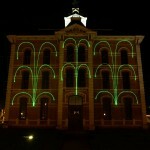 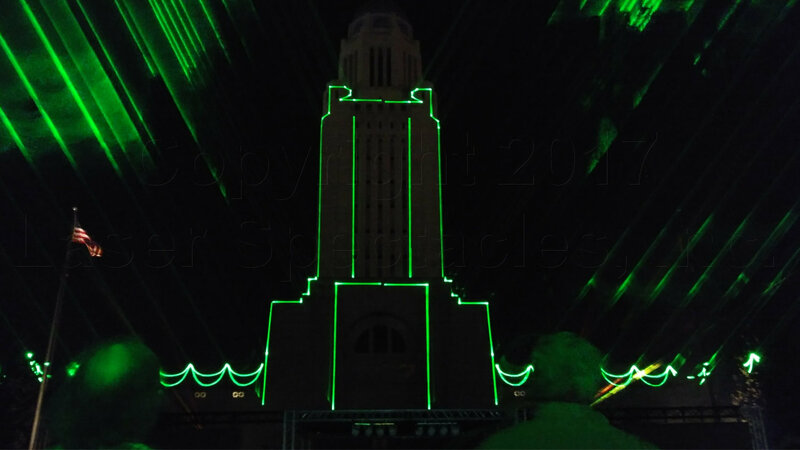 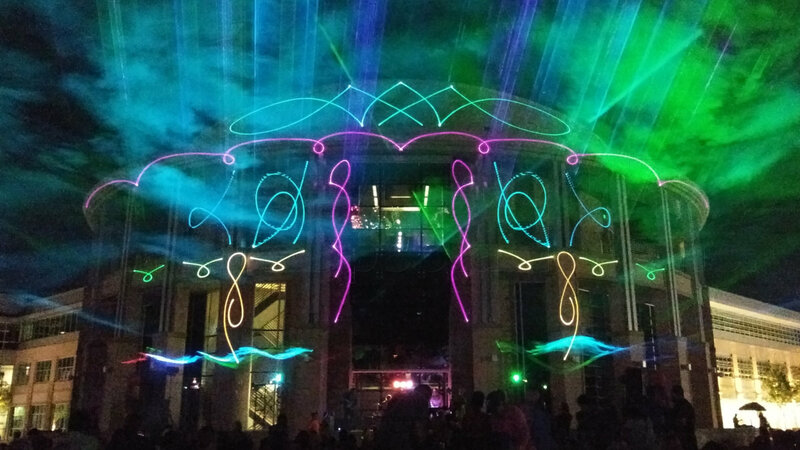 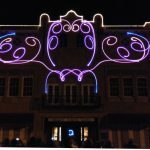 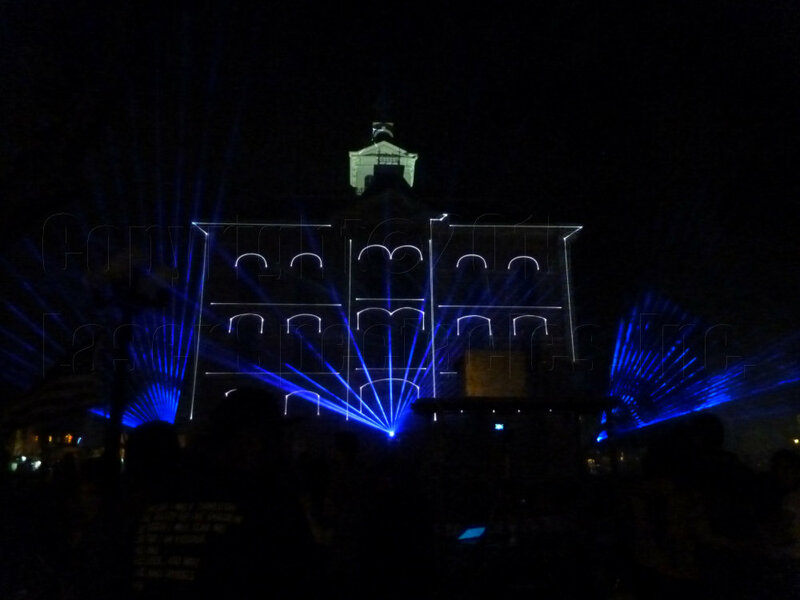 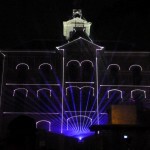 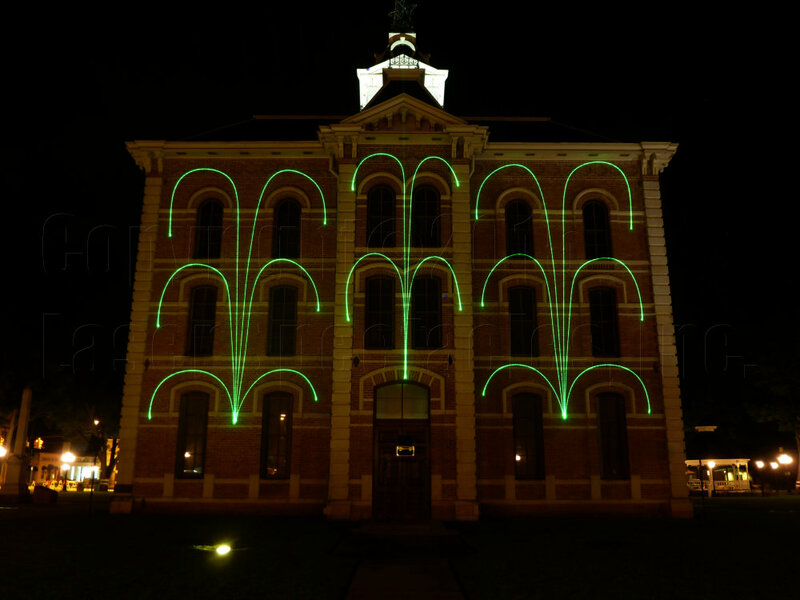 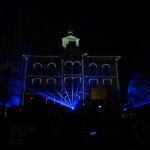 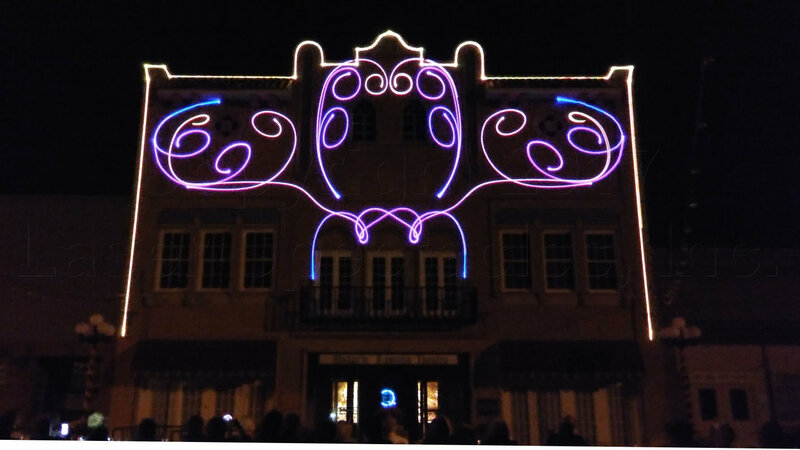 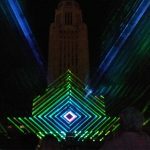 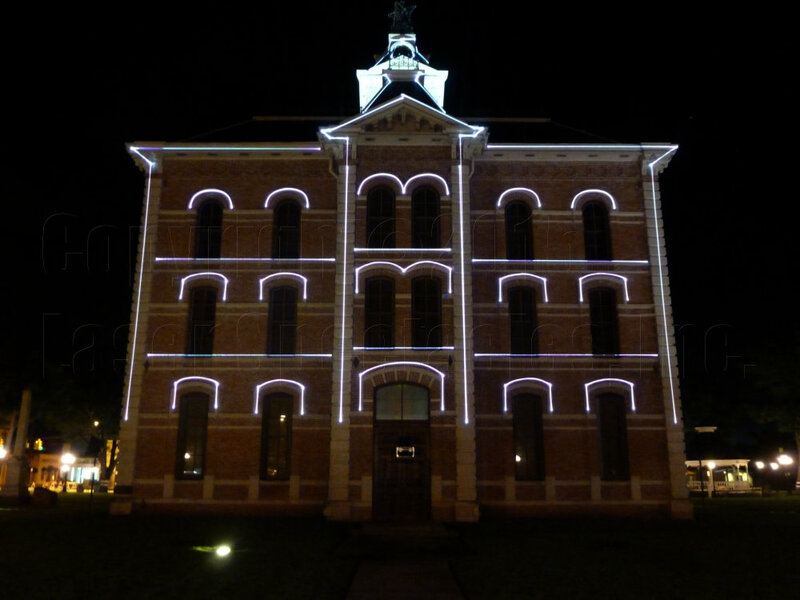 Laser Mapping | Laser Spectacles, Inc.
Laserists have always had fun projecting upon buildings, bridges, automobiles, etc. 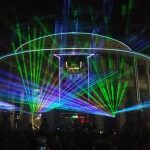 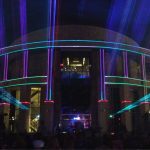 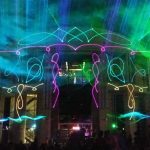 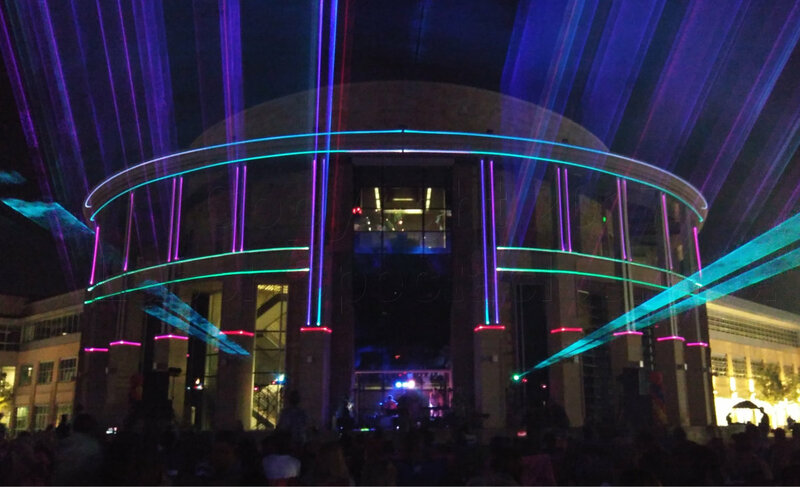 With the advent of finer and finer computer control over the laser beam, it is possible to take over a venue and create a show that is so specifically designed for that venue that it is truly a “one-of-a-kind” experience! 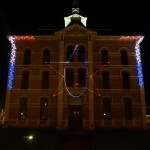 Laser Mapping describes some of these computer control techniques. 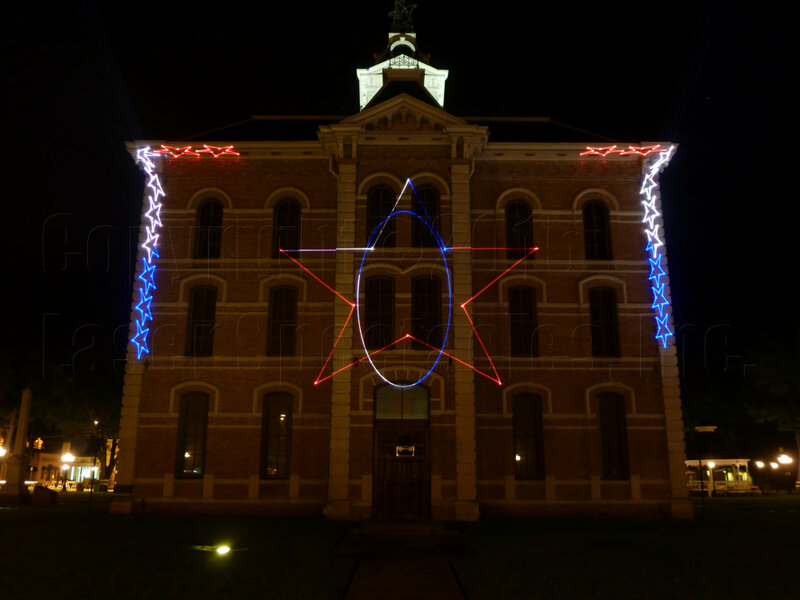 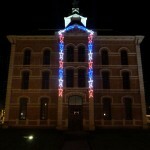 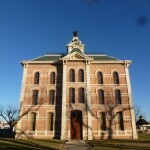 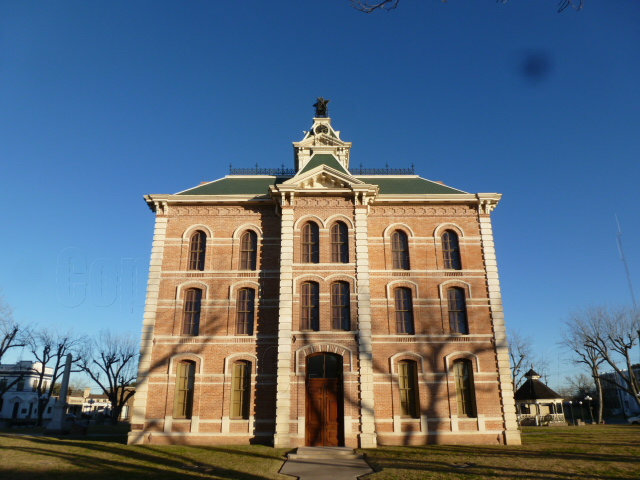 For example, on the left you see the Wharton County Courthouse in Texas. 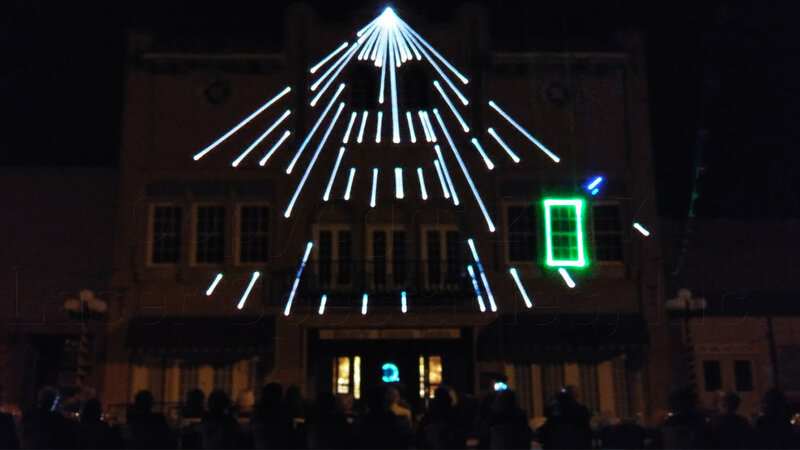 By projecting this image upon the wall of our laser studio, we can design laser effects designed to match the architecture of the building and bring it to life in unexpected ways. 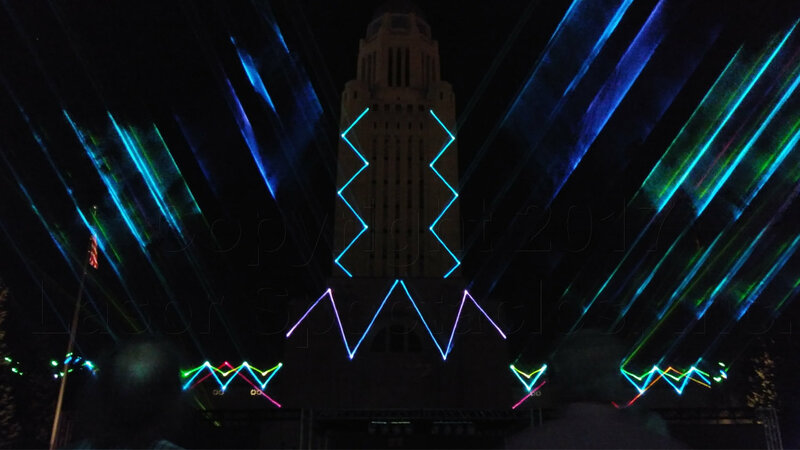 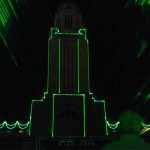 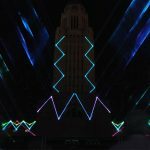 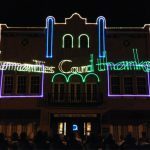 Once we are at the show site and have the laser set up, it is a matter of recreating the source images on the actual building, and then all of the effects come to life, bringing out the architectural details of the building. 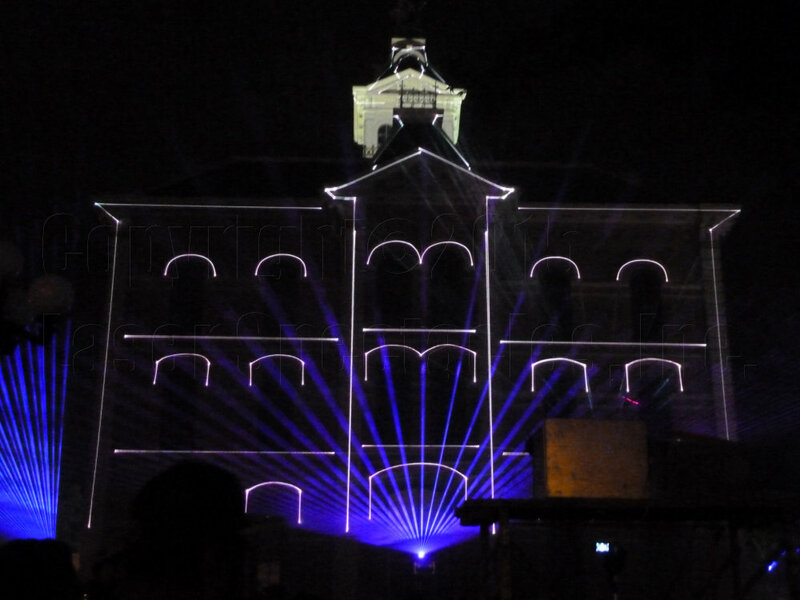 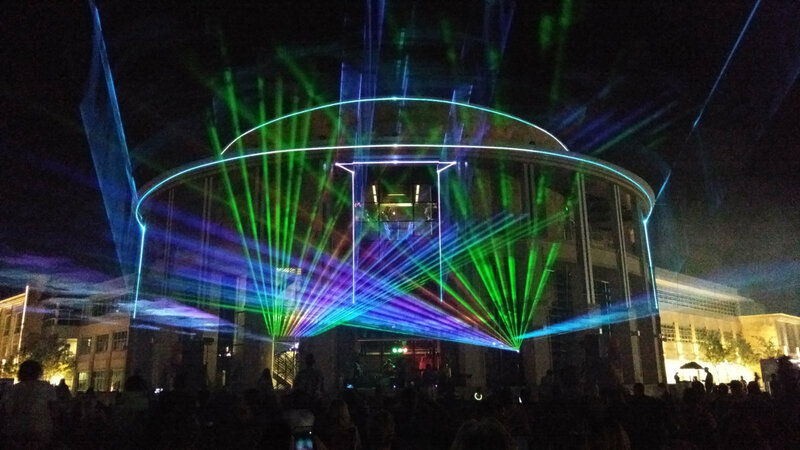 Dynamic Laser Mapping takes laser mapping a step further by bringing the movement of the laser mapping patterns into the forefront, in perfect synchronization with the music.